We are pleased to publish this blog article from Robert & Mary Carey of the RMWorldTravel radio program. Robert and Mary will provide us monthly blog articles covering their different favorite travel destinations. 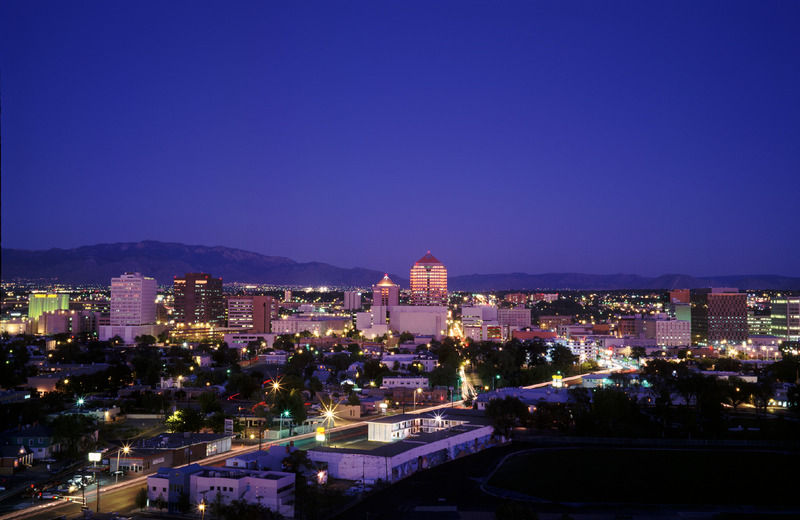 This month, they’re taking a look at Albuquerque, New Mexico. How many American cities can you think of that have a four-season climate but the seasons are all fairly mild? Not too many, but Albuquerque, New Mexico is one of them! The sun shines more than 300 days out of the year on average in Albuquerque with low humidity which helps keep the winters mild. Visitors are able to enjoy outdoor activities year-round in this capital city. Perhaps if you haven’t yet visited, you’ve seen the many photographs of the hot air balloons in the sky over Albuquerque. Their annual Balloon Fiesta held every October is a site to behold from the air or the ground as it features hundreds of hot air balloons in the air offering spectacular views of the surrounding landscape. 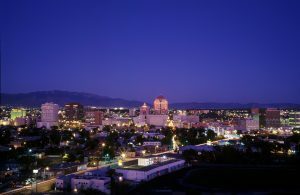 Albuquerque is one of those destinations that captures the heart and leaves an indelible image in the traveler’s mind. The sunrises and sunsets appear like paintings across the sky with colors so vivid, you almost can’t believe they’re real. If hot air ballooning isn’t your thing, you can still get those great sunset and city views with the Sandia Peak Aerial Tramway which climbs to the 10,000-foot peak of the Sandia Mountains. If you’re a skiing enthusiast, most travelers are surprised to learn that you can ski or snowboard in fresh snow during the winter season at multiple locations surrounding Albuquerque. For golfers, Golf Digest and Golf Magazine have ranked several Albuquerque courses among the best in the country. With backdrops of sleepy volcanoes, rocky mountain peaks and the Rio Grande, there aren’t too many other areas in the U.S. that can compete with the views. Another positive is you’ll find golf is quite affordable in the Southwest compared to other areas in the country. 2018 has been good to Albuquerque, as the city has been named “50 Best Places to Travel in 2018” by Travel + Leisure, “One of the Best Small Cities” by National Geographic Traveler, and “Top-10 Most Affordable Vacation Destination” by Smart Asset. From the city’s Spanish roots and diverse native cultures, flavorful foods, engaging museums and an abundance of outdoor adventures available year round — plus we can’t forget its popularity for hot air ballooning — Albuquerque gives visitors an authentic experience of the Southwestern United States. So pack your Travelpro, and think Albuquerque, as we highly recommend this great southwest city and be prepared for a ‘little’ chile in your food! Safe and Happy Travels! If you’re a travel mileage junkie on the lookout for a new way to earn Delta miles, hitch a ride with Lyft. Delta Airlines recently announced a partnership with the ride sharing company that lets travelers earn miles just by using the service. Members can earn miles for every Lyft ride, and for a limited time, earn bonus miles during rides to and from the airport. “We’re thinking about our customers’ whole travel experience and it’s important that Delta customers are taken care of not just in the air, but on the ground,” said Sandeep Dube, Delta’s Vice President – Customer Engagement & Loyalty. 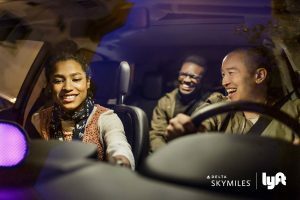 All SkyMiles members are eligible, but if you’re not a SkyMiles member yet, but frequently take Lyft, sign up for Delta’s program. Just remember that names must match on both accounts, so keep that in mind when you register. One mile for every dollar spent on all rides (excluding taxes and tolls). For a limited time, get two bonus miles per $1 spent on Lyft rides to or from the airport. New riders get two $10 Lyft ride credits. All Lyft rides are all eligible to earn miles including Lyft Line, Classic, Plus, and Premier. Earning miles is exclusively for SkyMiles Members who have active linked accounts at the time the ride is completed, which means you can’t get credit for past rides. So be sure to register and connect your two accounts before your next trip. Finally, if you and several co-workers or family members ride together, only the Lyft rider who requested the ride can earn miles, so you’ll have to fight it out with anyone else who wants the miles. This is not the first partnership Delta has made with other travel service companies. In November 2016, they partnered with Airbnb to award extra miles to SkyMiles members who stayed in an Airbnb property. Delta also partnered with an innovative biometric identity verification platform, CLEAR, which allows SkyMiles members a discount on the highly coveted opportunity to expedite TSA security processes. Are you a Delta or Lyft account holder? Will an arrangement like this inspire you to join one or the other program? Have you seen it in action already? Share your stories with us on our Facebook page, or on our Twitter stream. Travel offers many choices and demands many decisions and you want to make the ones that give you the most for your money. On any trip, your hotel choice is probably one of the most important decisions you’ll need to make. The quality of the accommodations, amenities, and freebies are just a few of the factors that will affect your decision. The wrong or right choice can mean the difference between a memorable trip and a miserable one. 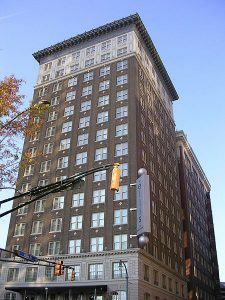 The Ellis Hotel, formerly the Winecoff Hotel, in Atlanta, Georgia. A recent Smart Traveler article reminded us of some important factors to consider if you want to ensure your next trip is one worth remembering, not one you’d rather forget. First, check the EXACT location of the hotel. Use Google Street view or Bing’s Bird’s Eye and get a look around. Make sure the hotel is, say, near the beach (like they said), has the great views they promised, or isn’t stuck right on a busy street that makes walking impossible. Doing this can help you avoid a hotel near the interstate or road construction. Check to see if the hotel has any airport shuttles. You can save yourself time and frustration with a complimentary shuttle. Taxis and ride sharing can get expensive, so taking an airport shuttle to the hotel can save a few bucks. Just remember to tip your driver. Check parking availability and cost. Parking on hotel property can add $10 to $35 or more per day. No parking at the hotel? The cost for off-site parking will often be significantly higher, and the inconvenience of walking to and from the off-site lot is higher, too. Weigh the costs between paid parking and ride sharing before you commit. Do they have free or fee Internet? There’s no guarantee that a hotel offers free wifi; there could be a daily charge for it. You could also be charged per device, so connecting a laptop and phone can gobble up any savings. The more expensive hotels typically charge for their wifi while the less expensive hotels don’t. So either figure out how to use the mobile hotspot feature on your cell phone, or figure out whether you want to spend $10 – $20 per day on Internet access. Do they have a rewards program? Loyalty programs are usually free and often provide great rewards. Ideally, you’d sign up before you make your reservations because members often get discounted prices, earlier check-in, later check-out, and other perks, but you can sign up once you check in. Just remember to do it before you check out so you can get the points. Some programs even give complimentary wifi and upgraded rooms. Are you a hotel travel veteran? What are some of your recommendations for hotel rookies and newbies? Tell us some of your recommendations and secrets on our Facebook page, or on our Twitter stream. Thinking inside the box might be a good place for a nap if you’re at Dulles International Airport. As travelers long for a place to sleep other than the floor or curled up in a chair, Dulles will now offer a place to sleep, recharge or relax before your next flight. According to USA Today, Sleepbox Nap Lounge opened during Christmas week on Concourse A, and is located between gates A6 and A14. Offering 16 small, stand-alone sound-proofed rooms, the micro-hotel will be the answer to the prayers of many weary travelers. 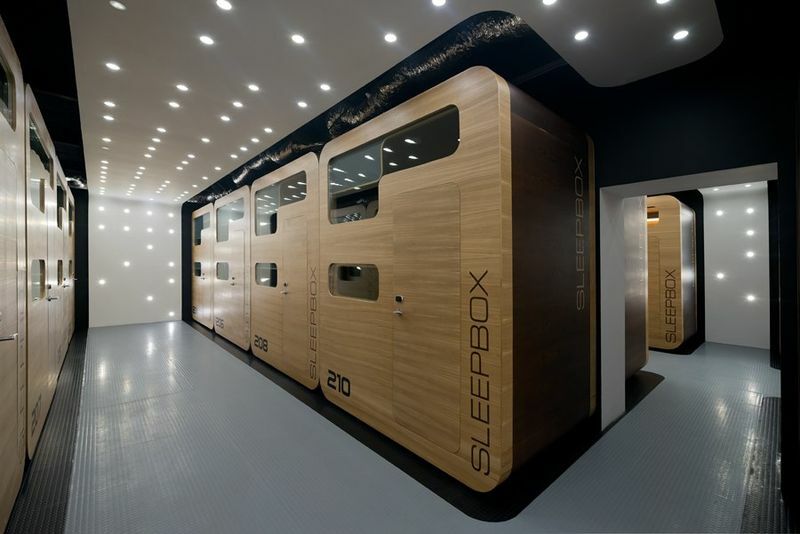 The rooms can be rented through the Sleepbox website or app and reservations can last for an hour for a quick catnap or even an overnight stay. Canceled flights just looked a bit better with an option to get sleep and not worry about traffic back to the airport. The article says the rooms are designed to be “cozy” with 8-foot ceilings and 30 square feet for a compact size. A 45 square foot room is also available with a little more storage space. Beds in both sizes are made of premium memory foam. Room temperatures can be set via the Sleepbox app and so will lighting and the wireless entertainment system. It’s important to note that there are no restrooms or showers available at the micro-hotel, so if you need to use the facilities overnight, plan ahead and don’t leave your room without your mobile phone. Minute Suites, a Sleepbox competitor, are currently available in Dallas, Philadelphia, Charlotte, and Atlanta airports. Travelers familiar with these small rooms know they offer a sound-masked room for sleeping, working, or just relaxing in some peace and quiet. Minute Suites offer alarm clocks, HDTV (Netflix and DirecTV), and desks with chairs; some even offer showers. The Atlanta airport sleeping concept has two locations and Minute Suites will open four new locations in the new year. Atlanta’s Concourse E will have 16 suites and two showers; Concourse F will offer six suites and one shower. Not to be left out, Concourses T and B will a part of “Traveler’s Oasis” concept with Be Relax Spa and Chiroport, which offers 15-minute chiropractic treatments that including spine adjustments and trigger-point muscle work. 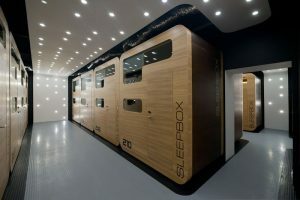 Dulles is the first airport to get a Sleepbox micro-hotel, but the article says Sleepbox is already in talks with a few other large U.S. hubs for future locations. Would you sleep in a micro-hotel or other tiny sleep room? Do the lack of toilet and shower facilities make a difference? Share your thoughts with us on our Facebook page, or on our Twitter stream. It’s a major shift for travelers and travel agents, whether you’re a business traveler or a vacationer: we Americans are using our smartphones more and more to manage all aspects of our travel. A recent Travel Market Report article says, 61 percent of consumers have booked and paid for their trips through a mobile device of some kind. This is according to a new survey from Travelport. U.S. consumers are also embracing new travel technologies for payments and voice search. “Our research highlights a clear opportunity to engage U.S. travelers with enhanced features on mobile apps,” Simon Ferguson, president and managing director of Travelport Americas told Travel Market Report. This kind of technology could pose a threat to the travel agency business, but Ferguson doesn’t see it that way. He said agencies are always giving their clients new ways to stay in touch with them via social media or a mobile app. He said nearly half of all U.S. travelers said they would like to be able to live chat with a travel agent while they’re actually on their journey. 61% of U.S. travelers have book their travel and pay for it through their smartphone within the past year. 64% of people use their smartphones as they’re traveling to their destination. Leisure travelers use 7 – 8 apps for trip research — 52% use maps, 51% use weather, and 50% use a branded airline’s app. 63% prefer checking into a flight on an app over a website, and 62% want to generate a boarding pass with their mobile app. 79% of people consider trip status updates to be very helpful, relying on push notifications to alert them of changes to their travel. While Ferguson may not think there’s a major disruption coming for travel agents, we can see this having a major effect. With all the mobile apps that let people do their own research, book their own travel, and even get their updates about changes to their travel plans, travel agents will have to dig deeper to find new ways to provide value to their clients. Business travel arrangements will be an important service offering, especially if you can figure out how to help smaller startup executives book their travel. Specializing in certain kinds of leisure travel bookings is another possibility, such as booking accessibility travel for people with mobility issues. What are your thoughts on using mobile apps to book and organize your travel? Do you prefer using your laptop to mobile booking, or do you favor a travel agent instead? Tell us your preferences on our Facebook page, or on our Twitter stream. We are pleased to publish this blog article from Robert & Mary Carey of the RMWorldTravel radio program. Robert and Mary will provide us monthly blog articles covering their different favorite travel destinations. There’s not a city in our nation as famous for songwriting and music as Music City itself, Nashville, Tennessee. Nashville’s deep roots and rich connections to music and the artists behind the music are unparalleled. 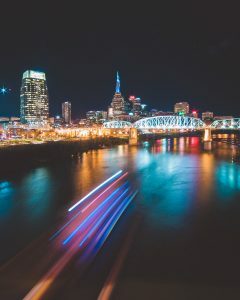 But there are some other unique tidbits and facts about Nashville that we think are interesting and worthy of being shared with you. Did you know Nashville had another well-known nickname before it became known as Music City? By the mid-1800’s Nashville had gained a reputation for its established institutes of higher education and its public school system. Considered the Southern seat of culture and education, Nashville’s nickname back then was the Athens of the South. There’s even a full-scale replica of the original Parthenon in Athens to honor this, and it makes for an interesting visit the next time you’re in Nashville. Built as part of the 1897 Tennessee Centennial Exposition, today the Nashville Parthenon functions as an art museum and popular tourist site in Centennial Park. The notable structure is also used for theater productions including Greek plays which are often performed for free. Another fun fact you should know about Nashville is that it’s experienced an explosion of new restaurants onto the scene. Just over the past year, more than 100 new restaurants have opened with top chefs creating unique dishes while also making good use of locally sourced foods and celebrating the flavors and culture of the South. But don’t worry, there are plenty of the old standby Nashville favorites still cooking for their happy customers. Prince’s Hot Chicken Shack is one of those old time favorites. Serving legendary spicy chicken for over 70 years, along with a James Beard award picked up along the way, they’ve recently opened a second Nashville location due to high demand. 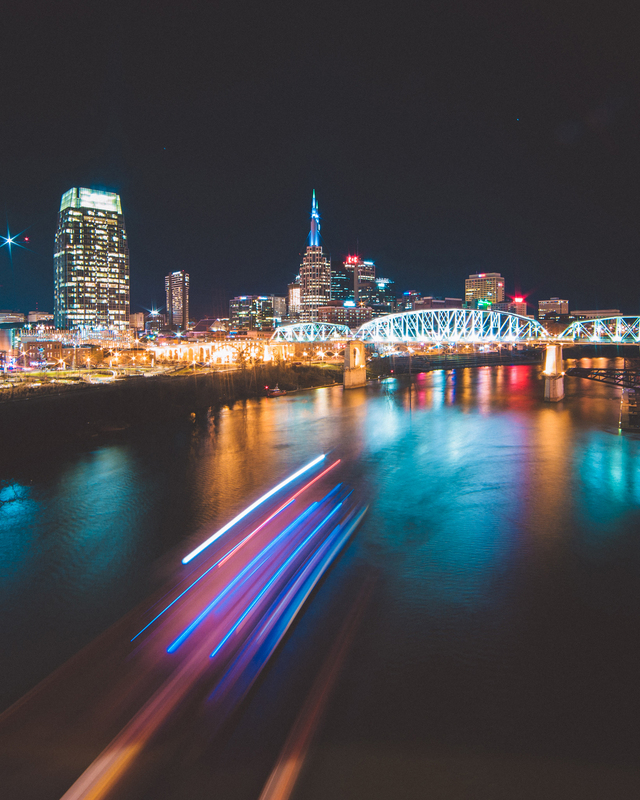 If you’re wondering what to do in Nashville besides explore the music scene and eat your way through this southern city, rest assured there are plenty of things to see! We always enjoy visiting some of the plantations and President Andrew Jackson’s home, the Hermitage, is a beautiful, historic home on about 1,000 acres of stunning grounds. If you enjoy whiskey, you can explore the craftsmanship of the popular spirit on various whiskey trails and tours. But with all of this and more, Nashville really does get some serious bragging rights for its place in music history so here’s what we suggest you visit on the music scene. The Grand Ole Opry and the Ryman Auditorium are essential Nashville attractions. If you can’t catch a show at the Ryman you can take a tour. It’s a National Historic Landmark and one of the most famous music venues in the U.S. And if you have time, check out the iconic Bluebird Café. Why? Well, you’re just going to have to drop by and find out… hint: It’s fondly known as a place to go to hear the ‘heroes behind the hits’. And don’t forget your Travelpro luggage. Anytime we’re traveling, it’s what we use! Safe and Happy Travels! Customers spoke and United Airlines listened. Travel is becoming a bit more colorful for customers of United as their signage and boarding process becomes color-coded. 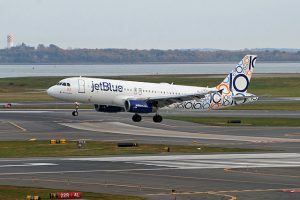 The carrier recently launched its streamlined boarding process across its 1,000 gates worldwide, after Los Angeles International Airport was the first facility to test out the new process. The improvements start with reducing the number of boarding lanes from five to two, giving customers added space, more time to relax and less time spent in line. . . United app users will also receive a new alert when boarding has begun for their flight, making it easier to know when to make their way to the gate. . . Digital displays in the gate area also keep customers informed with updated helpful boarding information. Group 2 will be called next, and includes first class and business class flyers; they’ll also board in lane 1. They will be joined by Platinum and Gold level frequent flyers. Both Groups 1 and 2 will use the Blue lane. Stragglers of Group 1 and 2 will still board through the Blue lane. Meanwhile, Silver-level frequent flyers, select United credit card holders and passengers who have purchased priority access will enter lane 2, now known as the Green lane. Following those two groups will be Groups 3, 4, and 5 which consists of Economy Plus, United Economy and Basic Economy. These travelers will board after the first two groups, entering through lane 2. They’ll also board in the Green lane. United will begin adopting new technology to send text messages, as well as send updates via digital displays in the gate area. What are your thoughts on United Airlines’ new boarding process? Is this something you’re looking forward to? What’s your ideal boarding process? Share your thoughts on our Facebook page, or on our Twitter stream. Travel agents and frequent business travelers will want to pay special attention to the latest information from Carlson Wagonlit Travel (CWT), the global travel agency. Each year, they issue a forecast of what they expect the following year’s global travel forecast will look like. Here are a few of their predictions from their 2019 Global Travel Forecast. 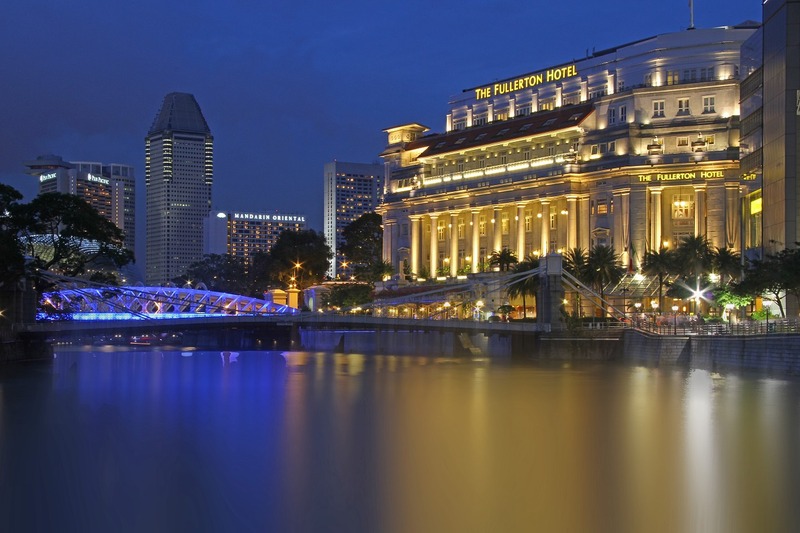 The Asia Pacific region will see price increases: 3.2% for air, 5.1% for hotel, and .5% for ground transportation. 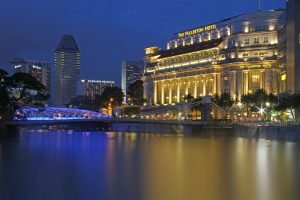 The growth of the tourism and business travel market for Asia (especially China, now the world’s biggest corporate travel market) is putting pressure on the travel industry, which means travelers will have trouble not only getting rooms at their preferred properties but at their preferred rates as well. So book early, and have a backup plan ready. There will be a global increase in demand for rooms. We already said tourism and business travel is going to grow in Asia, but this is also true for Europe and Africa. Plus, the introduction of “ultra-long haul flights” will also increase leisure and business travel. More people going to more places means a need for more hotel rooms. While this means that there will eventually be more hotels, it doesn’t help in the short term, so make sure you book early or consider Airbnb and other room-sharing websites to find a place to stay. Rental car companies will increase their prices, at least in the U.S. CWT is expecting to see an increase in car rental prices in Q4 2019, as the three main car rental agencies — which cover 90% of the US market — are seeing their fleet costs and maintenance costs increase and the residuals on their used cars are going down. The projected increase in price is 1% for corporate business travelers. 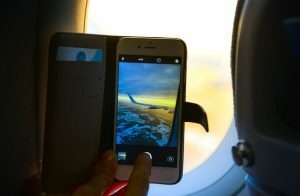 Amazon’s artificial intelligence is going to have an impact on travel According to CWT’s report, the travel industry is full-to-overflowing with all kinds of data on travelers — credit card, travel and expense HR data, combined with all the actual travel data like flights, car rental, and hotels — AI and machine learning systems are able to personalize and automate a lot of business travel functions. This means self-booking travelers are more likely to interact with a chatbot than a real customer service person on the other end of the computer line. Fare tracking, fare forecasting, and the use of chat bots to book flights and hotels are increasingly the norm. Personalizing travel is no longer just about upgrades and ancillary services. Algorithms are being built to fully understand traveler preferences and behavior, and to extract more revenue by offering relevant products and services in real time. Right now, as the economy is in an upswing, we’re expecting more and bigger things to happen in the global travel market. More of you will be traveling more often to more places. Of course, you’ll pay a little more too, but if you’re able to see a positive ROI on your business travels, or just have a fun time on vacation, it will all be worth it. Just remember to book things early, and always keep your confirmation numbers handy. What are your travel plans for 2019? Do any of Carlson Wagonlit’s predictions have an effect on what you’re planning for next year? Share your ideas and your own predictions on our Facebook page, or on our Twitter stream. 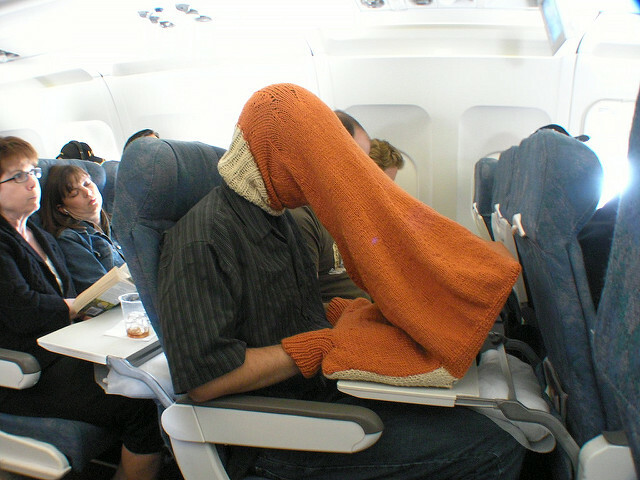 How important is it to you to have free wifi on planes? Are you able to stand being disconnected from the office for 1 – 6 hours? Or do you have to be connected at all times? And if it’s that important, are you willing to pay for in-flight wifi, or do you sit and suffer because you don’t want to pay $10 for a few hours of connectivity? Delta Airlines is beginning to offer a rare incentive for their fliers and giving us all free wifi on their flights. Last year, they began offering free texting to their passengers, and this year, they’re upping the ante. In a recent Travel Market Report article, Delta Air Lines said it would provide the free amenity, and according to Delta CEO Ed Bastian, it would be faster than what we’re already used to. Speaking at the Skift Global Forum in New York recently, Bastian said he didn’t know of anyplace other than in an airplane that you can’t access free wifi, so he wanted Delta to be the first to provide it to passengers. When the fee would be dropped remains unclear, but it is expected to be well-received. We’re definitely in favor of free wifi, but it’s critical that you follow strong security measures in order to keep your computer and your personal information safe from prying eyes. Make sure you use a VPN (virtual private network) to encrypt all web traffic to and from your computer. Make sure your malware protection and firewall are current. If you don’t have any, buy some. Never do any banking or transmit sensitive financial data while you’re on a free wifi system. If you need to do it, wait until you’re on the ground, and do it on your phone with the wifi turned off. Cellular data is harder to intercept. Be sure the wifi system you want to log onto is the right one. There are many imposters that look legit — Free_Airport_Wifi may look legitimate, but you can’t always tell. Make sure you know the official name of the official wifi, and ask someone who works there if you’re not sure. These steps are always important, even if you don’t travel very often. But if you’re going to use free wifi, whether it’s at a coffee shop, the airport, or even a plane, you have to take steps to make sure you don’t fall victim to cybercrime. Are you looking forward to Delta’s free in-flight wifi? Or do you prefer to stay unconnected while you’re flying? Some people want to answer emails, while others just want to read a book. How about you? Tell us your thoughts on our Facebook page, or on our Twitter stream. When Traveling, Time Is Money. How Much Will You Spend to Save Time? Traveling for work is still considered a perk for most employees, and they like working for companies that give them the opportunity to visit new cities and countries. People have created different practices and habits to save time when they do hit the road. They have become more resourceful, and some are even willing to shell out their hard-earned money for little conveniences, according to a new survey from Travelport. And depending on what they’re trading for, it could cost them cold, hard cash, or it could cost them some personal data. The survey showed several trends including one where 70 percent of travelers said they’d be willing to provide their personal data to receive personalized, relevant ads about their travel options. We already do this anyway, like on Facebook and signing up for email newsletters, so it’s not a stretch to imagine giving away “just a little more” to make our ad viewing habits more convenient. Travelport’s Vice President and General Manager of U.S. Sales, Erika Moore, told TravelPulse.com that their study results suggest standard corporate travel practices don’t meet the expectations of business travelers who want convenience and a recognizable consumer experience when they manage and plan trips. Mobile apps can provide such those things, as can custom advertising. When choosing an airline for business travel, customers base their decision on convenience. Nearly half of the respondents prioritized arrival/departure times and direct flights when it came to booking their airline tickets. They favored convenience over price and were willing to pay a little more money in order to be able to fly at the times they wanted. Meanwhile, approximately 12 percent of respondents said that company savings and work/life balance were more important when it came to booking flights and made travel decisions based on those preferences. But the biggest gripe among business travelers is a lack of flexibility and options. In fact, nearly every participant reported following some sort of corporate policies but added that they would like to have increased control and flexibility over bookings and filing the dreaded expense report. One finding of great interest was the use of tracking apps. Fifty-five percent agree and 45 percent disagree with allowing employers to use GPS tracking to monitor them on business trips. That’s a bit of a sticky wicket since many people want to be treated like an adult and feel like companies using tracking apps assume people will slack off or cheat the company if no one is watching. On a brighter note, 57 percent of respondents said they had more money to spend on travel as 2018 travel budgets exceeded 2017’s. We’re only expecting this number to go up again for 2019, which means business travelers will spend more time on the road and more money while they’re doing it. Where do you find yourself in this report? Do you favor convenient departure and arrival times or are you more concerned about company savings? How do you feel about corporate travel policies and your company’s travel spending? Share your thoughts and ideas on our Facebook page, or on our Twitter stream.